Are you on the fence? Why not list with a realtor? Sell Your House the Easy Way! Every house has a story to tell. That’s what so cool about Real Estate! Recently Sharon called me and asked if I would take a look at the house she grew up in. It was a really cool house that had been in her family since the 1960’s. Originally it was a 900 square foot home. As her family grew, her father started adding additions. First he added a second living area and a basement. Then he enlarged the kitchen. Finally he built on a second floor with two bedrooms. One of these bedrooms belonged to Sharon. I could tell it was difficult for her because of all the memories she had growing up in that house. After her parents died the family wasn’t able to keep up with repairs. Because of the condition of the property it made more sense for her to sell it directly to us. And that’s what she did. Now we get to make it all new again! If you have a house that you need to sell call us. 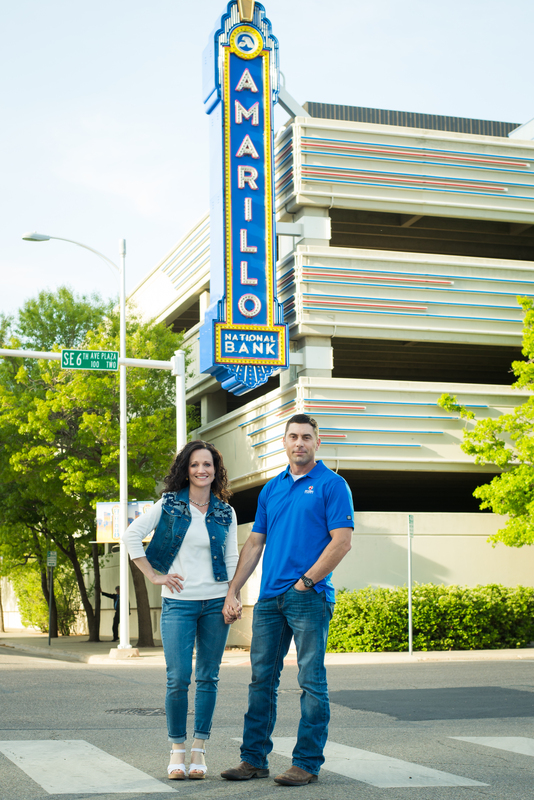 We are the #1 House Buyers in Amarillo. No matter what your situation, we can probably help. Call us today at 806-359-7653 or visit us online at House Buyers Amarillo. Do you need to sell your house? We would love to talk to you! We buy houses from $10,000 to $1,000,000 or anywhere in between we can help! We are not your typical house buying company. We can help you in one of three ways. First, we can make you an all cash offer. We do not require any repairs to be made. You pick the closing date and we pay all of the closing costs. We also and we handle all the paperwork and there is no rush to move. We can be very flexible on the move-out date. This is a great option if the property needs some work or if it needs to be sold quickly. As you can see we are very flexible and easy to work with. Second, we can list your property for you. Besides being real estate investors we are also Realtors. But we are not your typical Realtors. We specialize in selling properties in as is condition. And we are very good at it. Because we are investors we have learned how to sell our own properties. We will use these same proven strategies to sell your house. If the property is in good condition and there is no rush to sell most of the time listing the house for full value is your best option. If you are unsure which way to go we can always make you a cash offer and then list the property for you. If at any point you decide to take us up on our cash offer we will waive all of the Realtor fees. Whichever way works best for you. Finally, we can help you even if you don’t need our services. Maybe you just want to know what your house is worth. Or maybe you need the name of a good contractor and want to strategize about what repairs to make. Maybe you already have a buyer and just need help writing a contract. Whatever the issue we have probably dealt with it before and can offer help. Just call us and we will be happy to point you in the right direction. If you are even thinking of selling your house call us. We buy houses in Amarillo, Canyon, and Bushland. We would love to hear from you. Visit us online at We Buy Houses Amarillo or better yet just call us today at 806-359-7653. 1. 30 day quick-sale value. If you need to sell your home in less than 30 days you are most likely going to need to sell to an investor. It is almost impossible to find a traditional buying who will use bank financing who can close in 30 days or less. You need someone who can pay cash and doesn’t need inspections. This will be the lowest of the three values but it will be the option with the least amount of work and hassles. This option is best for the seller when time is of the essence. 2. 60 day value. In the Realtor world this is still considered a quick sale. In order for your home to sell in 60 days you need to have a contract with a solid buyer within the first 2 weeks. If everything goes right, and it rarely does, it will take about 6 weeks for the average buyer to close on a house. This is due mostly to new banking regulations. You will need to price your house aggressively in order for it to close in 60 days. 3. 90-120 day value. When a Realtor tells you a value, this is what they are talking about. This is the highest value of the three. The more time you have to sell, the higher the value. This means you have enough time on your hands to wait for the perfect buyer at the perfect price. Regardless of how soon you need to sell we can help. We buy houses in just about any price range or condition. We can buy your house and close in a few days if that’s what you need. Since we are also Realtors, we can also list it for you for top dollar. We are not your typical Real Estate Company that only offers one solution. So the bottom line is this… if you have a house you need to sell you should call and visit with us. We can offer you several solutions based on your situation. Give us a call today at 806-359-7653 or visit us online at What’s My House Worth. There are lot’s of people who buy houses. And there are lot’s of Realtors. We happen to be both. Here’s why that should matter to you. Last week a lady called and told me she wanted to sell her house. She said it needed some work but it wasn’t too bad. She said she needed to sell it within a month or two. I knew her neighborhood very well and I knew that her house would sell fast if it was marketed correctly. I asked her if she had considered listing it with a Realtor and she said she had not because it needed some work. I always like to provide sellers with two options so I took Landon with me. 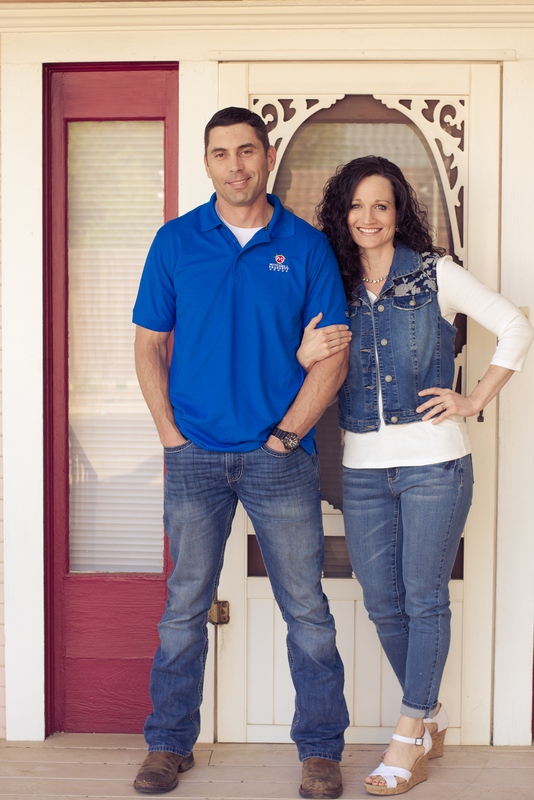 Landon is one of the top agents in Amarillo. After we looked at her house and got enough information to understand her situation we advised her to list her house with us instead of selling it to us. This was a better option for her because her house is in a good neighborhood, it was in better condition than she thought, and she has time to wait for it to sell. As much as I would have loved to buy this house from her I knew Landon could get her more money by listing it. I told her that if for some reason he couldn’t get it sold that she could always fall back on my cash offer and we would waive all the Realtor fees. She liked having my offer as a safety net. This is what you call a win/win situation! If you have a house that you need to sell we would love to visit with you. We buy houses in just about any price range or condition. Sometimes the best thing for you is to sell directly to us and close fast. Sometimes it may be better for us to list your house. Our job is to give you enough good information so you can make an informed decision. Give us a call and let us help you find a solution that makes the most sense for you! Call us today at 806-359-7653 or visit us online at Mitchell Property Group. A while back I met with a homeowner and placed a bid on their house. A few days later they called and told me I had been outbid by another investor. I was surprised to hear this because I had made what I considered to be a very aggressive offer. A month later they called and asked if my offer was still good. I told them it was and we closed two days later. At closing they told me that this other investor had really given them the run-around. 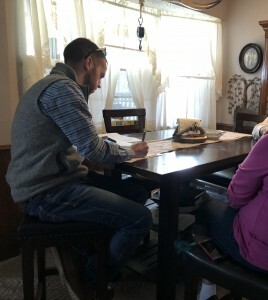 Once he got their house under contract he had brought in other buyers to try and sell the property before he had even bought it. Sounds crazy but it happens all the time. When he couldn’t find another buyer he just backed out. 1. Never sign an assignable contract. Do not sign a contract with the words “and/or assigns” written in it. In fact, in special provisions you should write “this contract is not assignable.” This is probably the easiest way to avoid being scammed. This will prevent an investor from trying to sell your house before they buy it. 2. Ask for references. A good company will not mind giving you references. I can give you as many as you want. 3. Verify funds. If someone advertises they pay cash for houses they won’t mind you verifying that they actually have the money to close. If they balk at this request do not work with them. 4. Ask for a short closing date. Even if you want to close in 30 days don’t tell that to the investor. Tell them you want to close in 3 days and your contract will not be assignable. You will be able to tell immediately if you are dealing with a real cash buyer or not! 5. Do not sign a contract with a long option period or a long inspection period. Anything over 5 days should be a red flag. Many new investors want long option periods so they can back out if they can’t find a new buyer. Short option periods make this much more difficult. If any of this sounds confusing just call me and I can explain it further. When we write a contract and shake your hand we intend on closing that deal. You are welcome to call our references and verify funds. We do what we say we’ll do and our deals close on time with no problems. That’s why we receive so many referrals from happy customers. We are very much a local company. You are welcome to stop by our office for a cup of coffee anytime. If you have a house to sell in Amarillo or Canyon give us a call. We buy houses in just about any price range or condition. We would be happy to make you an offer. You can call us at 806-359-7653. You can also visit us online at We Buy Amarillo Houses. Do you need to sell your house quick fast and in a hurry? If so let us make you an all cash offer. We can close in a few days if you need us to. Do you have a house that needs a lot of work? We can buy it from you in as is condition. Do you have a nice house in a nice neighborhood and you aren’t in a hurry to sell? We can list it for you! The last two weeks of the year have always been my favorite. It’s just a great time of the year. Everything seems to slow down a little bit. We get to gather with our family and have Christmas. We celebrate the ending of a year and the beginning of a new year. It’s a great time to reflect, be thankful, and set new goals. 2016 was a great year for us. We added new members to our team. We helped more people this year than any other year. Once again we experienced a year of growth. And for that we are very thankful. We never take for granted God’s many blessings. I always think back to when we first started this business. It was just the two of us operating out of our home. It was such a challenge every month just to keep it all going! 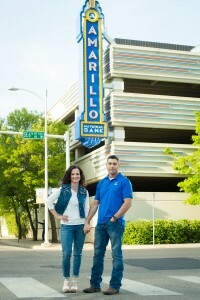 We are blessed to live and work in a place like Amarillo Texas! It’s not perfect by any means, but there is no place we’d rather call home. To all of our friends, family, and clients we say thank you for another good year. We are very excited about 2017. Merry Christmas and Happy New Year! So you are buying a bigger house. Should you sell your old house or rent it out? I get this question a lot. The answer is simple. Sell it! Never rent it unless you absolutely have to. Renters will decrease the value of your home. They will not take care of it like you did. Pretty soon you will get tired of being a landlord and decide to sell it. But now it’s not your homestead so if you make a profit you will have to pay taxes. If you would have sold it while it was your homestead there is a very good chance you would not pay tax on the profit. And you will either have to make repairs to get it back in good condition or sell it at a discount. I see this all the time! If you want to be a landlord sell your house and then go buy a rent house. But never rent out your personal home. Just take my word on this! If you need to sell your house call us today at 806-359-7653 or visit us online at Sell My House. Real Estate Investors are an interesting lot. Most of them are fiercely independent and extremely stubborn. They have Maverick personalities and are not big on rules. They always think outside the box. Most of the good ones I know have a knack for being able to quickly analyze a deal and pull the trigger. Realtors are also a very interesting group. Most of them are very “by the book”. They like to follow the rules and have a difficult time thinking outside the box. Not all of them but many are this way. The good ones have the ability to put their ego aside and get a deal to the closing table. Every day I get to work with Realtors and Investors. It can be very interesting at times to say the least! Most of them are top-notch. Emmy has a classic Realtor personality and I have a classic Investor personality. I help her to think outside of the box and she keeps me out of jail! The cool thing about our company is that we are able to offer our clients both options. I can make an all cash offer to buy the house as is. Emmy can show them what she could list the house for and they can compare options. Either way we are happy to help. Sometimes people are on the fence and have a hard time deciding which way to go. In that case we always recommend listing the house first to see if it will sell. If it doesn’t sell they can always take my cash offer at any time and we will waive the Realtor fees. This lets our clients try to sell their house for as much money as possible while knowing that at any time they can sell the house to me if they need to. Pretty cool huh? If you have a house that you need to sell or list or maybe a combination of the both call us. I guarantee you we can help! We buy houses, we list houses, and we like helping you think of ways to sell your house. Call us today at 806-359-7653 or visit us Sell My Amarillo House. Flooded Houses, Tall Weeds | We Buy Flooded Houses! I drove by a sign the other day that read ‘pray for rain.’ It was in a yard that had about 6 inches of standing water. Rain in the Texas Panhandle is always a good thing. But this much rain can reek havoc on older houses. Flooding is the biggest problem. Amarillo does not have the best water drainage. In fact there are many neighborhoods that flood every time it rains this much. This can cause problems like damaged foundations, black mold, and rotten base plates just to name a few. Another problem is out of control weeds. This is especially true on vacant properties. If you have a house that has water damage that you would like to sell call us! We buy Amarillo houses ‘as-is’ and we close fast. Call us today at 806-359-7653 or visit us online at We Buy Flooded Houses.